Want to boost your sales over the holidays? For most companies, Christmas is one of the most fruitful sales period of the year, especially so for online stores and digital businesses. With online sales at its all-time high, and eCommerce stores winning big in 11.11 and Black Friday, you’ll need to make sure you’re capitalizing on this festive season to ensure your year ends on a high note. In today’s article, I’m going to show you 11 unique Christmas marketing strategies and ideas to maximize your sales this festive season. Wait, why should I care? Ever heard of Christmas Creep? It’s a merchandising phenomenon where interest begins, leading up to Christmas day. Merchants and businesses start introducing Christmas-themed merchandise or decorations before the traditional start of the holiday shopping season. If you run an online business, you’ll need to run some Christmas marketing campaigns to tap into this trend. One of the most well-known examples of brands changing their digital assets to match the holiday is Google’s doodles, where they change their logo to match the season. By slightly modifying the aesthetics of your assets, it can actually help spur consumers into the mindset of Christmas, the season of gifting. What’s more, it actually helps to drive your sales. Just by adding festive attributes to an app icon has been shown to drive app installs by up to 40%. 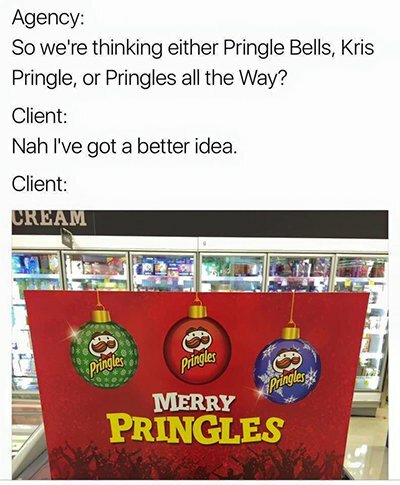 Thus, our first Christmas marketing idea is to christmasify your assets. How to ‘christmasify’ my assets easily? It’s quite simple to brand your digital assets for Christmas, just stick to several tried-and-tested designs. Turning your assets red, white and green. If you have a mascot, try changing it with a Santa or elf attire. With these simple design tools, your Christmas marketing will be a breeze. Your customers expect personalized offers, and standard product discount banners no longer cut it. That’s when you need a quiz to guide your shoppers to the product they want. Enter interactive marketing. A great example would be those pesky (yet strangely addictive!) Facebook personality quizzes. By filling up a quiz with their shopping preferences, you can take their answers and send them to the category that they’re most interested in. Let’s say you have an online store for lifestyle products. You can do a quiz on “What kind of Christmas guest are you?”, with answers leading to different shoppers’ personas such as the digital nomad brother, the stay-at-home mom, the anime-loving cousin. Another example would be tapping into New Year Resolutions. Based on your shoppers’ resolutions, you can provide them a personalized list of discounted products. Want to lose weight for 2019? Here’s some yoga mats and organic nuts. Going for a cleanse? We have juicers, recipe books etc. Quitting smoking? You can offer motivational audiobooks. This is a great way to engage your audience to a whole new level, especially during Christmas. 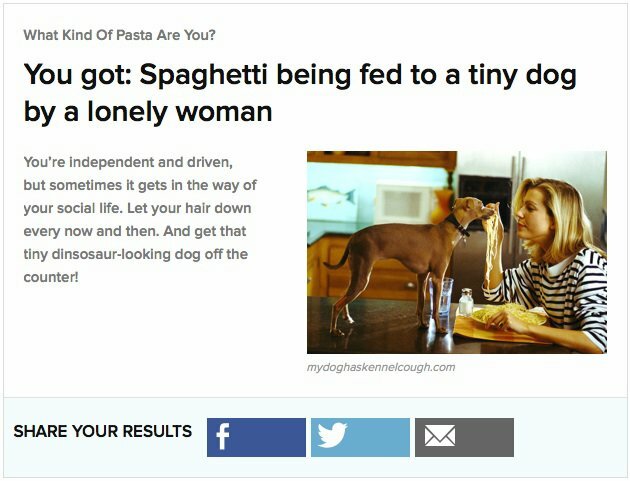 What’s more, it’s extremely easy to create your own quizzes now. There are several tools that allow you to create quizzes and add them to your website. Personalize your Christmas marketing with interactive marketing and quizzes. This is the time of the year where people are the most generous. While buying gifts for themselves and for their loved ones, shoppers will be in the mood for giving. Tis the season for giving. You can announce that for every purchase your customers make, they’ll be donating money to a good cause. Instead of buying 1 set of dress, shoppers can buy 2 sets, with 50% of proceeds going to someone who can’t afford. Here’s a good example of charity initiatives by several brands. By creating charity initiative, you’ll associate your shoppers with good feelings, as well as solidifying your brand as a generous and ethical brand. Above all, at this time of the year where people start to reflect upon themselves, it’ll be a good time to remind us that we got to be better people. Christmas is a time of reunion, celebration, and watching Christmas movies that we’ve seen a dozen times (I’m talking about you, Home Alone). Many consumers will probably feel the same way, and this allows you to utilize Christmas pop culture in the form of gifs to engage your audience in social media. By inducing nostalgia and making your audience remember the good times, you’ll be able to capture the attention of your audience. Did you know over 50% of consumers prefer to see video from businesses? Video allows you to jam all your information in a concise and engaging manner that is currently one of the top modes of content consumption. By relating your videos to Christmas, you’ll be able to appeal to your audience’s emotions. In your videos, make your headline and copies memorable by making a pun on Christmas phases. Make a simple and catchy video, add on some “Jingle Bells” or craft your original songs around it. Many Christmas songs have their copyright expired, which means you’ll be able to use them freely for your marketing assets. Long gone are the days of standard email templates. Enter personalized email marketing, where you can send mass emails to your audience, with them feeling that each email is wrote specifically for them. How to bring this to another level? Personalize your images in your emails as well, which truly makes your audience think that the email is tailored to them. A great tool that does this for you is Lemlist (we use it here at Novocall too!). Spice up your boring ol’ emails with video intros. Videos are no longer confined to social media, and more brands are getting their message across in emails via video. 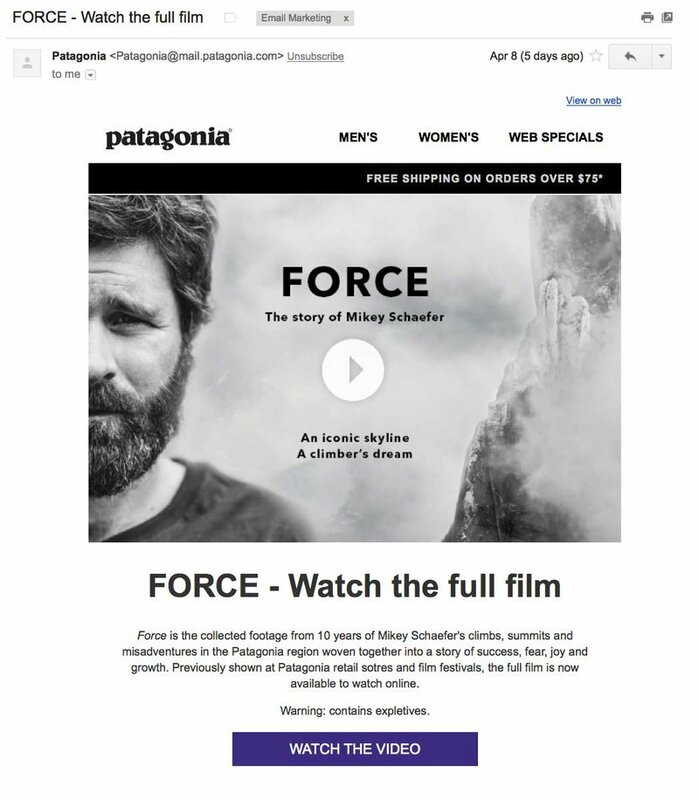 Why do video fit in emails? Instead of slashing prices and giving deep discounts, try packaging your products into bundles. 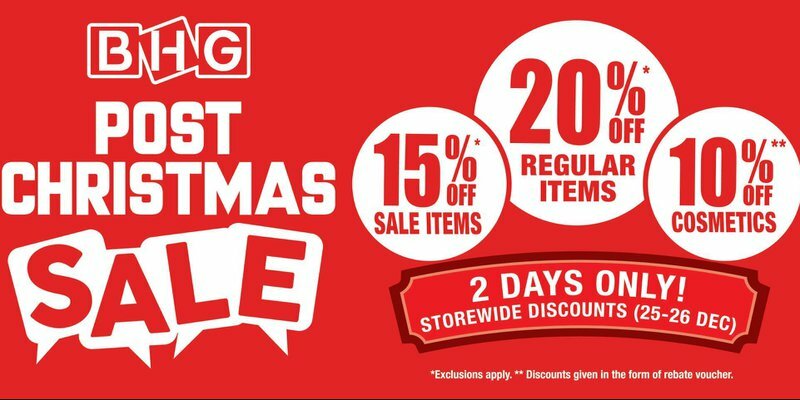 Tap into shoppers’ FOMO (fear of missing out) with amazing Christmas packaged deals. Aside from saving you profit margins, it helps to increases your overall order value. Steam and Amazon do great in the department. I always fall for this myself. You don’t necessarily have to bundle your products in a Christmas bundle. Leverage on the Christmas get-togethers and bundle your products into matching sets. Sets for families, couples, mother-daughter, father-sons, or even owner and pet! As you prepare for the online stampede to your online store, do remember not to neglect your customer support. With more traffic come more customer queries, and providing excellent support should always be priority to ensure customer satisfaction and brand loyalty. Apart from support tools such as email, help-desk and live chat, you can kick your sales support up a notch by offering callback support for clients with large purchases. Customers purchasing big value items require special attention, as it means more sales for you. 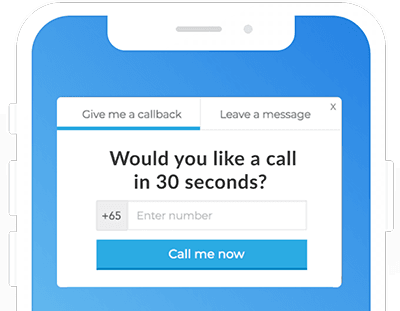 By providing these customers an option for a personalized callback from your staff, you’ll be able to provide immediate phone sales engagement to these customers. Engaging your customers at the right time will thus allow you to influence their purchase decision during your Christmas marketing campaign. Aside from email greetings and social media posts, another great way to engage your users is actually mobile push notifications. Over 60% of smartphone users have made a purchase online using mobile for the last 6 months, and this number is just growing. Why not capitalize on this? On the period leading up to Christmas, you can send push notifications from your app to announce deals. This information is sent directly to their home screens, which fosters great engagement. However, bear in mind not to overdo your push notifications or your users might be annoyed. Instead, think of push notifications as a helpful way to bring useful information to your customers. For example, if you run an online store, you can help your users avoid the shipping crunch period through push. Send them a gentle reminder on their delivery dates, or reminding them of the shipping cut-off date to get their gifts in time for Christmas? Aside from mobile, web push notifications are also catching on, especially so for businesses without mobile apps. Web push are also easy to implement with several online tools to help such as Omnikick, ZoPush, PushCrew and WebEngage to push out your Christmas messages. It’s also a great way to push any leftover inventory you didn’t sell during the holiday season (if you hold your own inventory). There you have it! 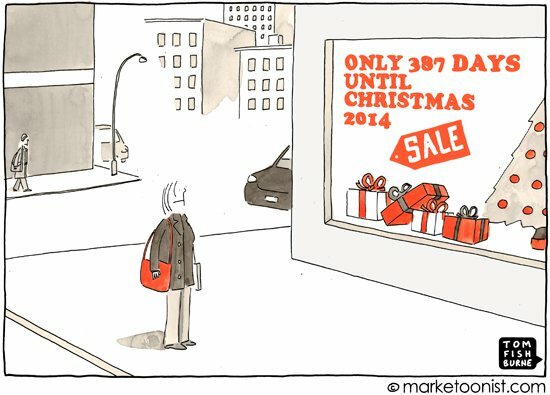 11 unique Christmas marketing strategies to help you increase your online sales this holiday season.